We are very pleased to have more GOOGLE FIVE STAR REVIEWS than any other independent driving school in Peterborough. Here is a selection of our latest reviews. For Dennis Jones who supported me driving from Peterborough to Milton Keynes and back to my new workplace, which included Motorways. Thank you for all the help and advice. I am very glad that we have done the full journey to/from Milton Keynes and I would certainly feel more comfortable on my first day at work. With regards to the Motorway way lessons, I do believe that these are highly beneficial and students need to be encouraged to take at least 2-3 hours to get some experience with the busy motorway (including ‘smart’ ones). It would allow new drivers to expand their networks and be more comfortable looking for jobs outside Peterborough. Also, at some point, the new drivers will consider travelling by driving long distances so eventually, they will encounter their first motorway. I am glad that we talked about the speed cameras, service stations and how to behave on the hard shoulder in case there is any problem with the car. All these are highly beneficial for young drivers as we only read about these when preparing for the theory exam but it feels different when driving. Not sure if you already do this with all students but perhaps you could offer also some advice on how to chose/buy/insure/maintain the car. Some new drivers might be the first car owners in their families so will be looking for advice and suggestions on these from other experienced drivers like you. My friends helped me a lot with my car but it might be useful to have small chats about this while driving with your students. I hope you found this helpful. Wishing you many interesting students this year! This is feedback from a happy dad regarding his son’s customer experience with us earlier this year. “As you are aware Ryan passed his test in early July 18. This was within 3 months after he had started driving. Thank you so much for all that you did. The car was always professionally turned out, clean and damage free. The Instructor always arrived on time and was quick to respond to emails and calls about lessons, timings etc. Flexible with timings and days. The Instructor created a really good relationship with Ryan. Gaining a good rapport, trust and bond. He gave honest, immediate feedback, which Ryan always understood. With us the Instructor listened to what we had to say, acting on areas that we were concerned about (i.e. from when we drove with him) and Ryan always came away from the lessons buoyant and feeling he had learned and improved. Ryan liked the way things were explained to him and the use of your paper roads, junctions and roundabouts and car “cut outs” made understanding manoeuvres and feedback very simple. Ryan liked the feedback on lessons identifying what he did well and areas for improvement. Ryan never came away thinking he had not improved. Ryan liked the way he was coached, and previous lesson reviewed. Without doubt you were instrumental in Ryan passing his test so quickly with only 3 minor faults identified on his test. I would have no hesitation in recommending Denovo to anyone”. Firstly I would like to say the biggest thank you to Denovo Driving, it is all thanks to you that I passed my driving test first time and with no minors! I was very nervous when I first decided to start driving, it was more for necessities that I needed to learn, I did not think I would ever enjoy driving, I just wanted to get it over and done with as fast as possible so that I could get myself from A to B. The initial thought of driving petrified me, the thought of worst case scenarios were running through my head, and the thought that I should have done it when I was younger, like everyone else did. My instructor picked up this vibe from me straight away and put me at ease. We took driving one step at a time so that I never felt out of my comfort zone; I always received the level of support that I needed. With each lesson, I developed my driving and learnt the skills that I needed to drive independently and safely and it was always at a pace that suited me, I always felt comfortable with each part of the driving experience and ready to face the next challenge. I had my lessons in two-hour sessions, which I feel is the perfect amount, it took me a little time to warm up and get used to driving again, so by having two hours I really felt I was learning but I wasn’t overdoing it, and the prices were fair, I aways chose to pay for the block sessions, which worked out to be great value. And my instructor was wonderful when it came to flexibility, I had to have a few months off lessons due to an operation, but when I was ready I picked the driving back up straight away. Now, I am a confident driver, and I enjoy it, it no longer serves the purpose of driving to and from work, I go out because I have that freedom now, I have the ability to go where I like and it has opened up so many more doors for me, and that is purely because of the tuition I received! It has made me a completely different person. If you want a driving instructor that is friendly; encouraging; who boosts your moral and shows you how far you have come; then I 100% recommend Denovo. There is no negativity, if there is a near mishap – it is a learning opportunity, and you always walk away feeling positive and that you have become a better driver because of it. I didn’t just pass my test because of Denovo and my instructor, I know that I will be a safe driver going forwards, and that is a big responsibility and the most important thing. Thank you again for all of your instruction and advice, I will miss our weekly lessons! After failing 4 driving tests with 2 different instructors I was a bit anxious when choosing a driving instructor so I Googled a few and read the reviews and Denovo driving stood out compared to all the others and when I rang up I got talking to my instructor about previous fails and experiences and then decided to book my first lesson with him. When I first met him I felt instantly at ease. My instructor was very encouraging and understanding to what i need to achieve and we set goals for every lesson building on the experience i had and guiding me in the right direction away from the bad training i had before. 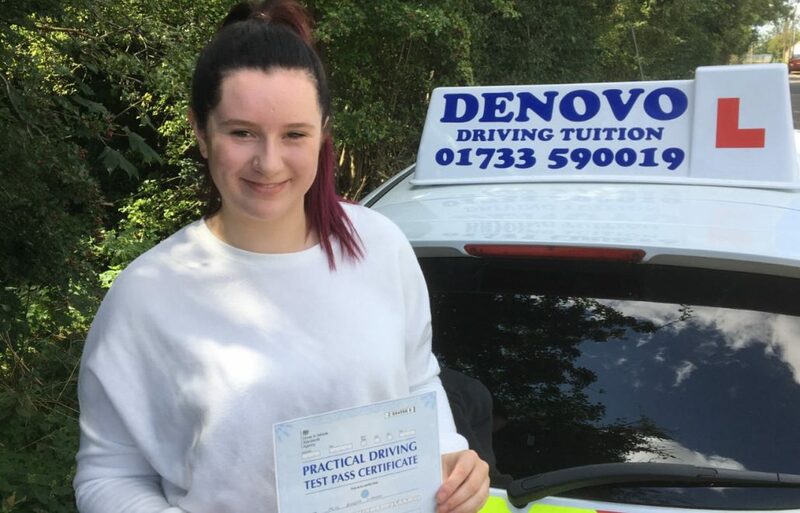 After having a negative experience with my previous instructor, I came across Denovo Driving Tuition on social media and got in contact to arrange some lessons. After the first lesson alone, I had massively improved in both my confidence and my skill. It made me feel a thousand times better! Every lesson that followed was an adventure and I enjoyed every moment. My instructor was calm, patient, and explained and supported me perfectly. 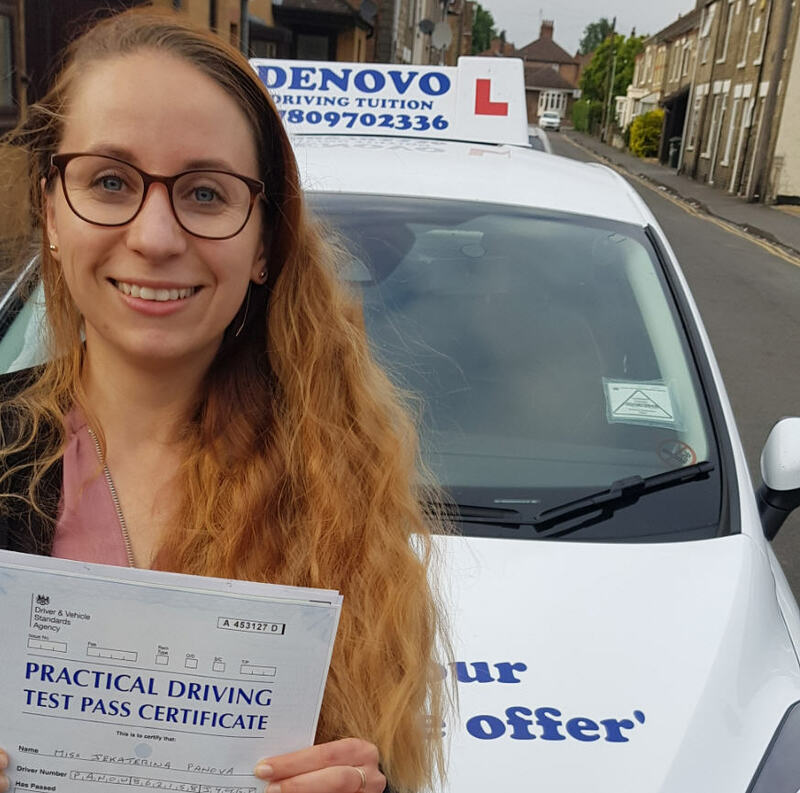 I couldn’t recommend another company to learn to drive with – thank you Denovo for providing me with my independence and freedom, and for ensuring I feel comfortable and confident when maintaining mine and everyone else’s safety on the roads. If you’re looking to learn how to drive, this is 100% the company to go with. WOOHOOOOOO FINALLY PASSED!! After 2 bad instructors and 1 failed test with poor preparation and tuition I finally found Denovo Driving Tuition, who got me over my driving fears, built my confidence and got me up to test standard! I passed my driving test first time with 3 faults with Denovo. I found my tuition tailored to my specific needs and felt like I was learning to drive with a friend in a welcoming and professional environment. My instructor helped me get over my bad habits and poor driving ability due to previous bad instructors who only wanted to make money. At Denovo they really care about your safety and every aspect of driving was explained. I myself needed to have a full driving licence to be able to pursue a career in the RAF and am also an impatient perfectionist and want to get things right first time and to the best standard. With Denovo I was able to do so and they really understood my needs! I would highly recommend to all as I have unfortunately experienced many bad instructors and its so nice to finally find a gem! 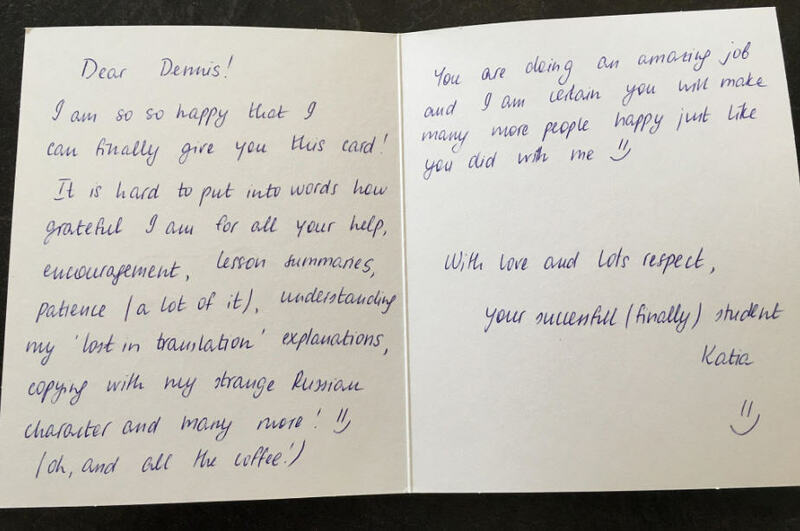 Before starting with Denovo Driving Tuition I had been with a couple of other instructors/companies but never felt completely happy with the service I was getting. That all changed with Denovo. Right from my first lesson I knew that this was the instructor and company for me. I had decided to go with Denovo after reading the positive reviews on this website and from day one I could see why they come so highly recommended. My instructor was fantastic at helping me feel relaxed and giving me a confidence boost along the way, when it was needed. All I can say are positives about my experiences with Denovo. They seem to really care about their pupils and their professionalism is clear to see. I wish I had started with them from the beginning and hadn’t wasted my time with other companies. After a few failed tests I was all but ready to give up on learning to drive. Deciding I’d spent too much time and money to give up, I opted to try a new driving instructor at Denovo. This proved to be just what I needed, as I quickly realised that my previous instructors had not been providing me with good teaching. My instructor was by far the best instructor I’ve had and it is because of him I passed my test. He was patient, positive, thorough and friendly, and really cared about providing the best tuition for his pupils. My name is Lisa. I learnt to drive through the AA and had two bad experiences with instructors either taking their responsibilities for granted and falling asleep while I’m driving, to completely overstepping his professional relationship and insulting my mum to turning up late to my lesson and stopping for cigarette breaks. I didn’t want to carry on learning with the AA so I changed to my third instructor at Denovo Driving Tuition. My instructor made me feel at ease, although he dressed more formal than my other driving instructors, I felt extremely comfortable in the car. He tested my driving ability and pushed me to the highest level of driving, he is very by the book and talks you through everything. His first priority was to train me how to drive safely once I passed my test. We had many giggles. I would recommend Denovo to anyone who needed a driving instructor. I passed with only one fault on my driving test. This shows the high level that Denovo teaches you. Enjoying my freedom and had a lovely call from my instructor to make sure I am doing well. Most certainly looking into pass plus with Denovo. 🙂 VERY HAPPY! I’ve had my fair share of driving tests, and even though I had failed a couple of times, by the time I got round to changing driving instructors I thought I knew what I was doing however, it was soon clear to see that I only knew the basics! Other driving schools may be able to teach you how to pass a driving test however, they don’t teach you how to drive safely for life which is what Denovo does. Denovo’s in-depth patient and methodical approach to teaching has improved my driving immensely, and I am forever in their debt. What I must also point out is that his pricing for hourly lessons is extremly good, considering they are fully qualified driving instructors and even teach people to become driving instructors themselves….that’s got to give you an idea as to how brilliant they are! I am eternally grateful for finding him as an instructor, and a word of advice for all new people intending to learn to drive; don’t go with the local driving instructor round the corner, even if your mates did pass after 10 lessons, they won’t be safe drivers! 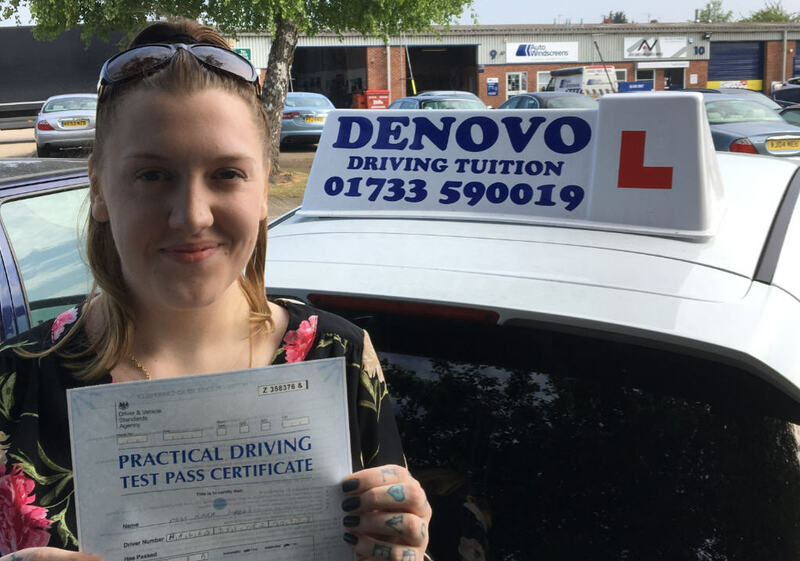 Denovo Driving Tuition made the learning to drive experience very welcoming and are very friendly and experienced driving instructors. I found the experience extremely fun and found it easy to learn because I found the experience so welcoming and enjoying I have recommended the company to others and they also are finding the driving experience extremely helpful with Denovo. Even throughout my test i felt comfortable because my instructor was sitting in the car with me as an observer and him being there was comforting to calm my nerves. Enjoyed the whole experience thank you. I just came home from passing my driving test and it is all thanks to Denovo Driving Tuition. I failed first time with a different instructor and had to begin the learning process again as my previous instructor had taught me wrongly. 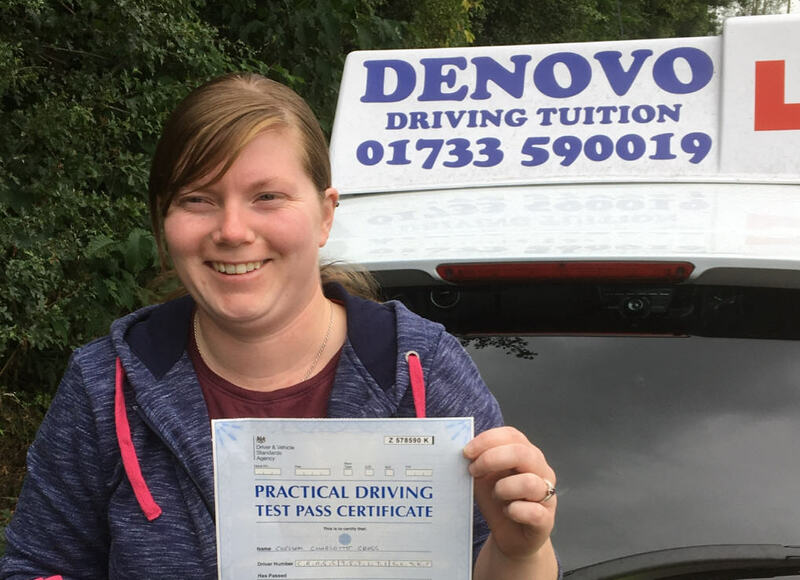 Denovo were immensely supportive throughout the time I was driving with them and it was a great pleasure driving with such a considerate, kind and calm instructor. I am very much looking forward to completing Pass Plus with them.